Growing Up Hip Hop Atlanta is coming to WE tv later this month, and a new sneak peek video has been released, and there is big drama ahead on the unscripted series. WE tv released a press statement with the new video. Check both out below. “Growing Up Hip Hop Atlanta features a tight-knit crew of friends who reveal the perks and perils of being born into Hip Hop royalty. But as they hustle for independent success, a toxic rivalry unfolds. Unforeseen danger marks Shad Moss aka Bow Wow’s return to ATL when he decides to release his first album in six years. The hip-hop child star, now 30-years-old and a father, is ready to bow out of the music industry gracefully with one last hit but will he make it out unscathed? With a toddler and on again/off again baby mama in LA, along with a bad boy track record and a long rap sheet of women, Bow Wow struggles to stay focused. But his Atlanta family forces him to face the music as they push him to make the ultimate comeback. It’s time for Lil’ Bow Wow to re-enter the music industry as Big Bow Wow under the tutelage of his surrogate fathers, legendary rapper Snoop Dogg and mega-producer, Jermaine Dupri, the “Godfather” of Atlanta, along with the guidance of Da Brat, the first female solo rapper to sell over 1 million records. 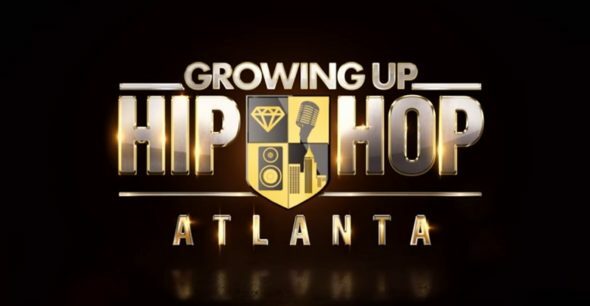 Growing Up Hip Hop Atlanta will arrive on May 25. Do you plan to check out this new series? Tell us what you think. More about: Growing Up Hip Hop Atlanta, Growing Up Hip Hop Atlanta: canceled or renewed?, WE tv TV shows: canceled or renewed?